100% Polyester exclusive of trims. 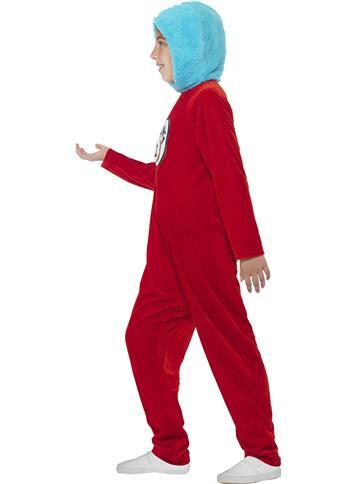 Hooded jumpsuit with two badges. 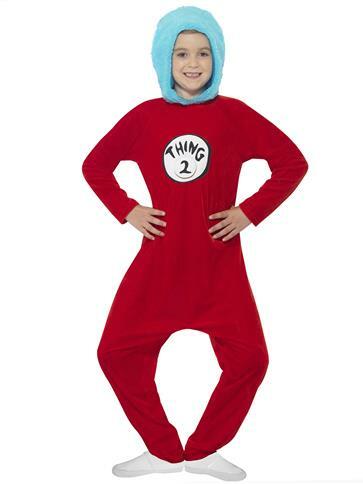 Dress up as one of the two little troublemakers from Dr Seuss’ The Cat in the Hat. Release this costume from the dressing up box and cause havoc and mischief! 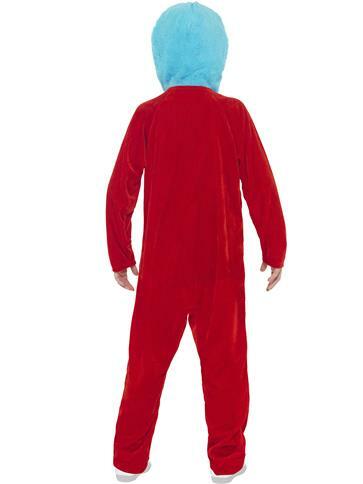 The comfy red jumpsuit has Velcro fastening down one side and a soft blue fur hood that looks like their trademark blue hair. 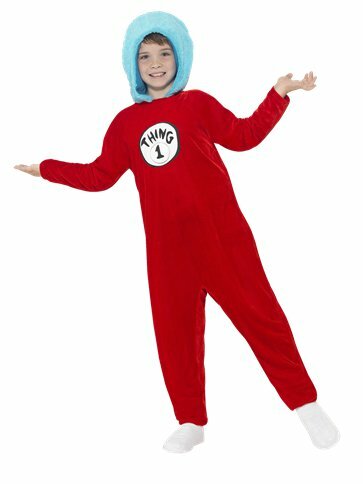 There are 2 badges to attach to the front of the suit you can choose to be Thing 1 or Thing 2. It’s a great choice for World Book Day. Want it Friday, 26 April? Order it within 11hrs and 42mins and choose Premium by 9pm Delivery at checkout.